I think I pretty much summarised this entire post in the heading. Some years ago, I started tracking how much we spent on living each month – not the occasional frivolous stuff but the actual necessities such as food and utilities. In my spreadsheet, I separated supermarket shops from greengrocer shops. It really quickly became very apparent that in months that we spent more at the greengrocer, our supermarket spending was a lot less. A few days ago, a study by the University of Otago cemented my own personal findings. The opposite to this is the farmer’s markets which actually tend to be a lot more expensive but you can find some more unusual fruits and vegetables – purple carrots & orange cauliflower anyone? We are pretty lucky to have a great greengrocer not far from home, we pretty much have to go past it to get home every day. They always have huge signs outside with their daily specials. As an example, when in season avocados are usually 6 or 8 for $2 compared to $2 each at the supermarket. From our own personal experience, we also only tend to buy what is in season from these places, whereas the supermarket has pretty much the same items year round. 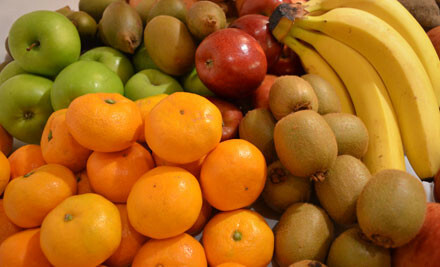 The advantage is that when produce is in season, the prices are at their very lowest. Buying whole pumpkins for 30c each in season sure beats buying them in pieces, by the kilo, out of season. Some items are much the same price year round, potatoes, carrots, onion and certain types of fruit such as apples and oranges. These typically aren’t too much different in price at the greengrocer from the supermarket, but its the other seasonal items that are cheaper. They also tend to have specials of vegetables and fruit that aren’t 100% perfect, mushrooms for $6 a kilo would be unheard of in the supermarket, they are usually double that price. One other advantage is that when we have a fridge full of vegetables and bowls full of fruit, we eat a lot less takeaways and processed food. This is much healthier for us and our bank accounts. I can’t stand food wastage – it never happens in our home, and I go into a panic if something has been sitting in the fridge too long – whatever that might be, it is the basis of our next meal, or gets cooked for the doglets as a last resort. If we shop at the greengrocer weekly, supermarket visits are limited to once or sometimes twice a month. This also limits impulse buys. Sure we have to get creative sometimes but who honestly likes wasting time in a supermarket anyway (well I do overseas but thats a whole ‘nother post 🙂 ). I completely agree with buying ‘in season’… it makes a huge difference on the quality and price! Thanks, yes I will be sure to check it out!